How do I get my Helpers or Community Managers contact details? How to find your care teams phone numbers. 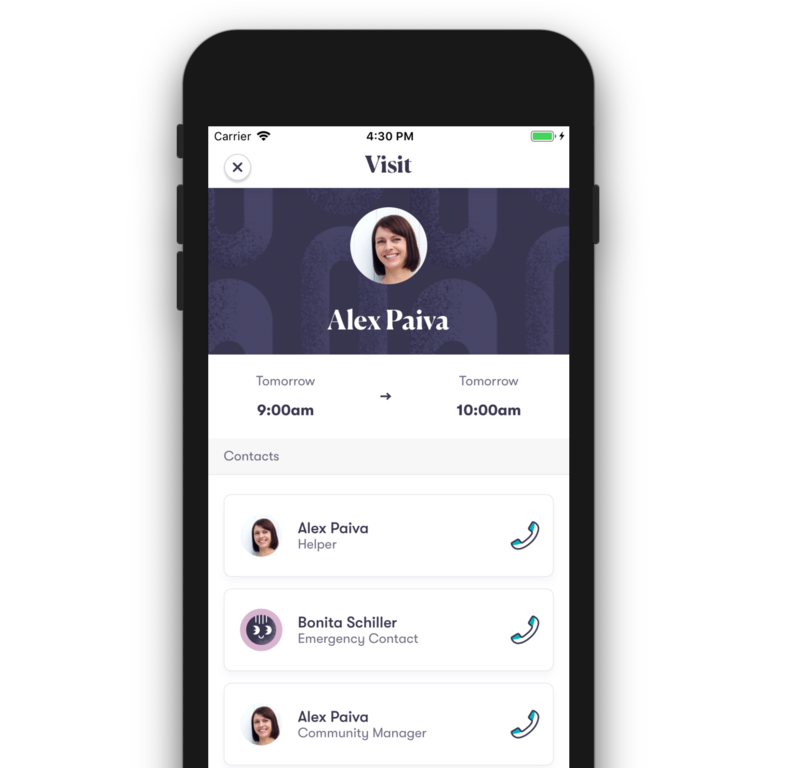 The best way to get the phone number of a Helper or Community Manager is by logging into the Five Good Friends account or app. Alternatively, you can call 1300 787 581. Only Authorised Representatives and Members can contact Helpers and Community Managers directly. Contact details are not visible to Sharers. 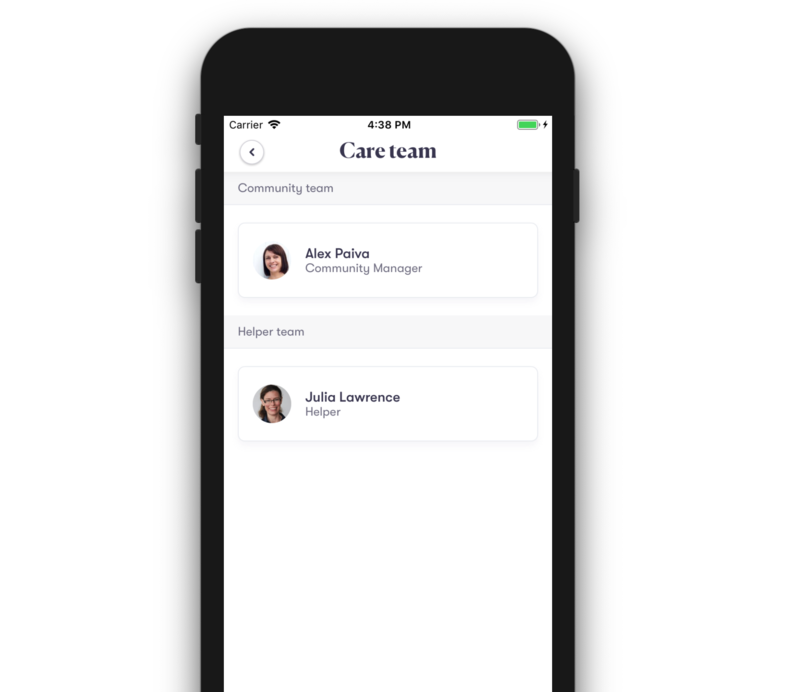 You can access your care teams details through the Five Good Friends app or through your browser. Scroll through the schedule until you find the visit with the Helper you would like to contact. Tap on the visit and then tap View Details. The contact name, photo and phone number will be visible under the Contacts label. Tap the phone icon to call the contact. You can also access your care teams details via the People tab. Tap in the People tab. Tap in the Person you would like to contact. Tap the phone icon to call the contact. Call 1300 787 581 or hit the chat button at the bottom of this page.